The Toyota Corolla is one of the iconic models in the Japanese automaker’s history, with 50 years of rich heritage. The sedan is well known for its style, practicality, affordability and reliability. 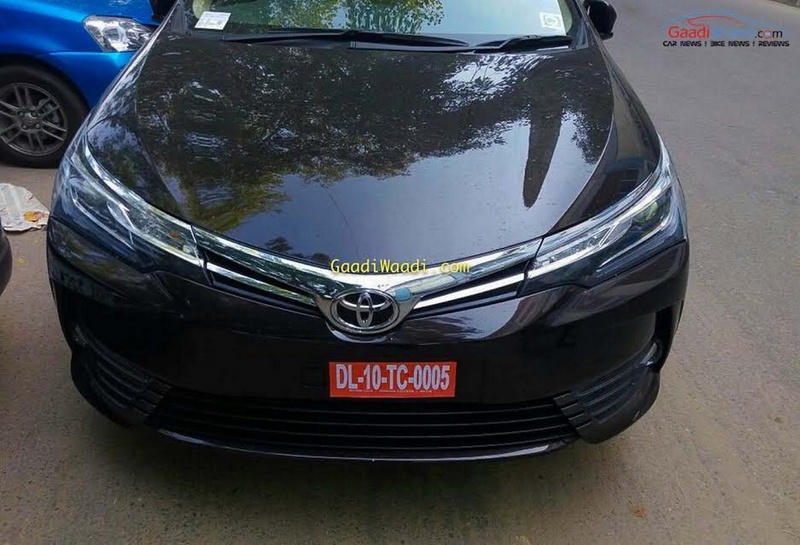 Now, Toyota has launched a facelift of the car, which comes offering more style, more practicality and more reliability according to the largest automobile brand. The sedan has sold more than 44 million units across the world till date, since its introduction half a century ago. Now in its updated appearance, the car looks more appealing than ever. 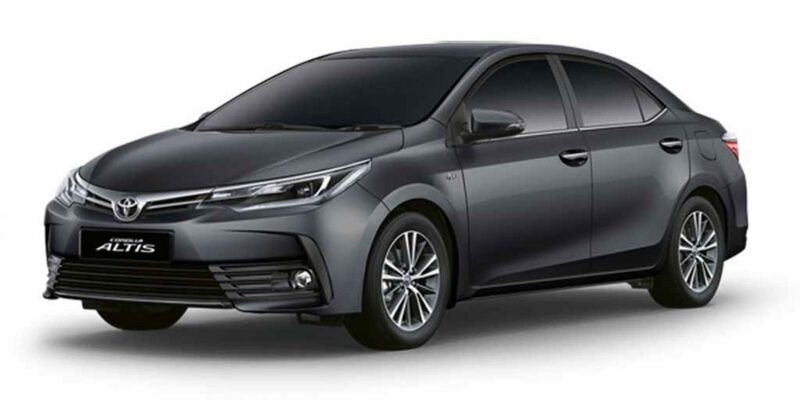 Wearing the Toyota’s modern-age ‘Under Priority and Keen Look’ design language, the 2017 Toyota Corolla Altis was already launched in Asian market like Malaysia and Thailand before finding its position in our market. 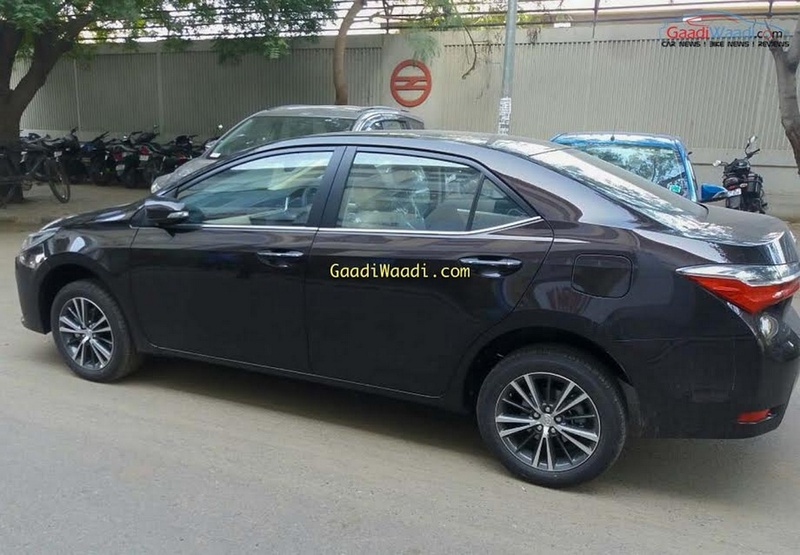 While the sedan is known as Toyota Corolla in several markets across the globe, in India we know it as the Corolla Altis. The true global Toyota model which is manufactured in 16 plants worldwide. The car has evolved to a very stylish sedan from the first-generation two-door model. Toyota has a strong customer base in the Indian domestic market. 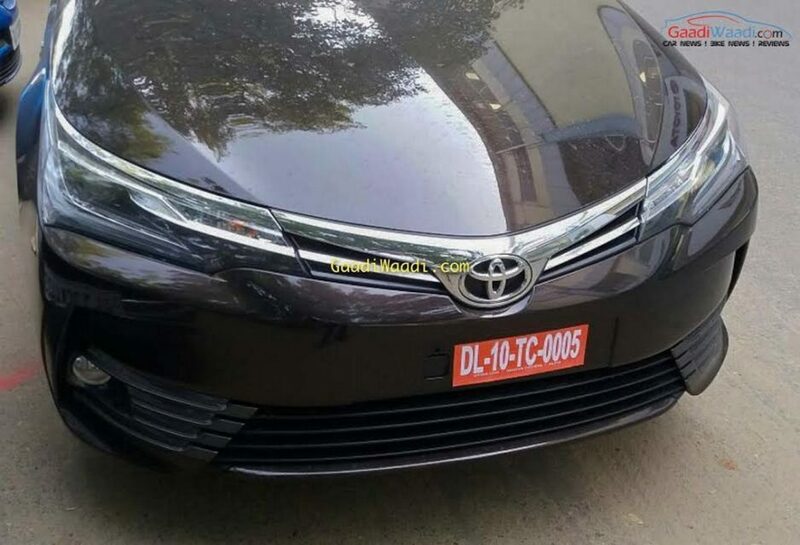 Last year alone, the company has launched new generation Toyota Innova Crysta, new-gen Fortuner and facelifted Etios twins. The 2017 Toyota Corolla Altis is priced between Rs. 15.87 lakh and Rs. 19.91 lakh (ex-showroom, New Delhi) depending on different variants while the base diesel is sold at Rs. 17.36 lakh and it goes up to Rs. 19.05 lakh for the DGL (MT) top-end. The petrol model has two transmission options and the diesel sticks with the same six-speed manual ‘box. Bookings and deliveries for New Corolla Altis has begun along with vehicle display at dealerships across India. As the outgoing Toyota Corolla Altis, the new comes with a 1.8-litre four-cylinder 2ZR-FE Petrol engine and a 1.4-litre four-cylinder D-4D diesel engine. The petrol engine is mated to a 6-speed manual gearbox, while a Super CVT-I 7 speed sequential shiftmatic & with Sport Mode & Paddle Shift. The diesel engine on the other hand, gets paired with only a 6-speed manual transmission. The petrol engine churns out 138.03 bhp of peak power at 6,400 rpm and 173 Nm of peak torque at 4,000 rpm. The diesel engine on the other hand, kicks out 87.2 bhp of peak power at 3,800 rpm and a peak torque of 205 Nm between 1,800 rpm and 2,800 rpm. The outgoing model delivered a claimed fuel efficiency of 14 kmpl and 21 kmpl for petrol and diesel models respectively and it remains the same on the new version. Dimensionally, the new model measures 4,620 mm in length, 1,775 mm in width and 1,475 mm in height. It also has a wheelbase of 2,700 mm, 470-litre of boot space and a 50-litre capacity fuel tank. All dimensions remain similar to the outgoing Corolla Altis. The all-new Toyota Corolla Altis sports a stylish and very attractive design, in line with the Japanese automaker’s new-age models. It gets sleek dual-beam LED projector headlamps with LED Daytime Running Lights. The redesigned front grille comes with a sleek and wide chrome slat, which meets both the headlamps and delivers an appealing look. 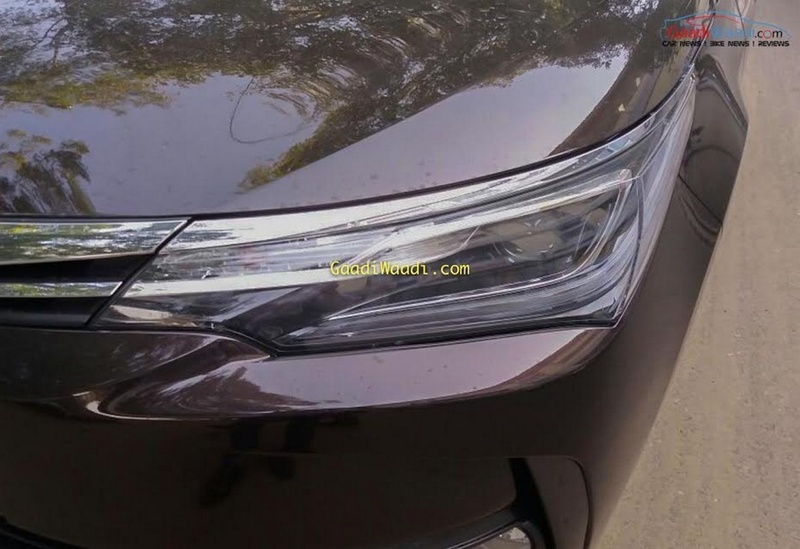 The new 3D front bumper design looks pretty muscular with horizontally slated wide air intake and neatly placed fog lamps at both sides. At side profile, new Toyota Corolla Altis receives new design alloy wheels giving it a bold stance. The wheels come available in 16-inch size. Apart from that, the sides get auto foldable turn indicator integrated in ORVMs, subtle character lines, blackened B pillar. 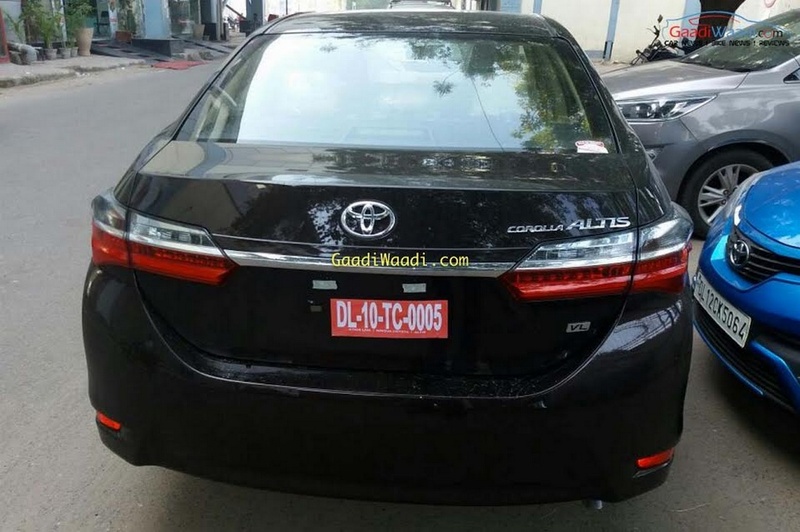 At rear fascia, 2017 Corolla Altis comes with new wide and large LED taillights, a sleek chrome trim between the taillamps and a muscular bumper as well. The quality of the interior space is created by the newly designed Instrument Panel with Soft Touch Dashboard and the refreshed Flaxen interior colour. 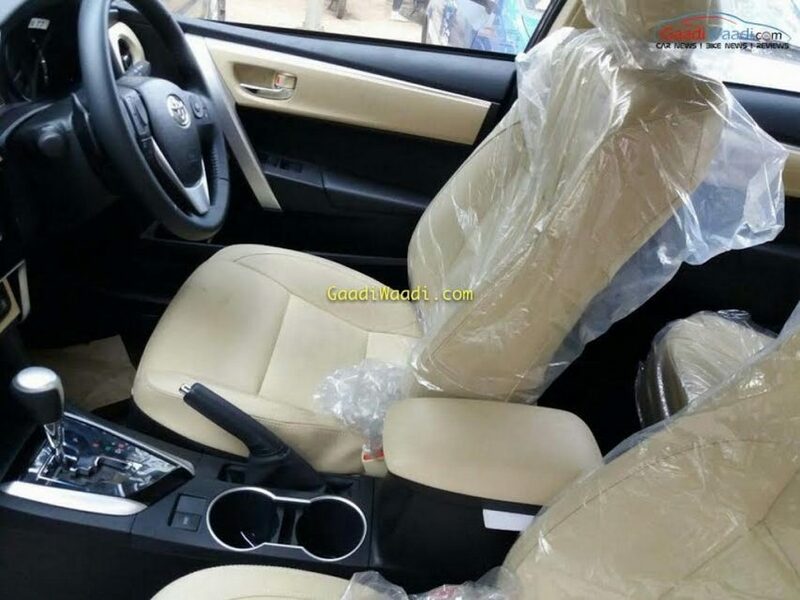 The cabin of new Toyota Corolla Altis facelift now appears more stylish and upmarket combined with practicality. It features a multifunction steering wheel, an updated Optitron instrument cluster with analog dials and a 4.2-inch digital MID and a 7-inch T-Connect touchscreen infotainment system at centre console. The new Corolla Altis is the only ‘real sedan’ to offer a spacious cabin with rear reclining seats which ensures utmost comfort according to Toyota. 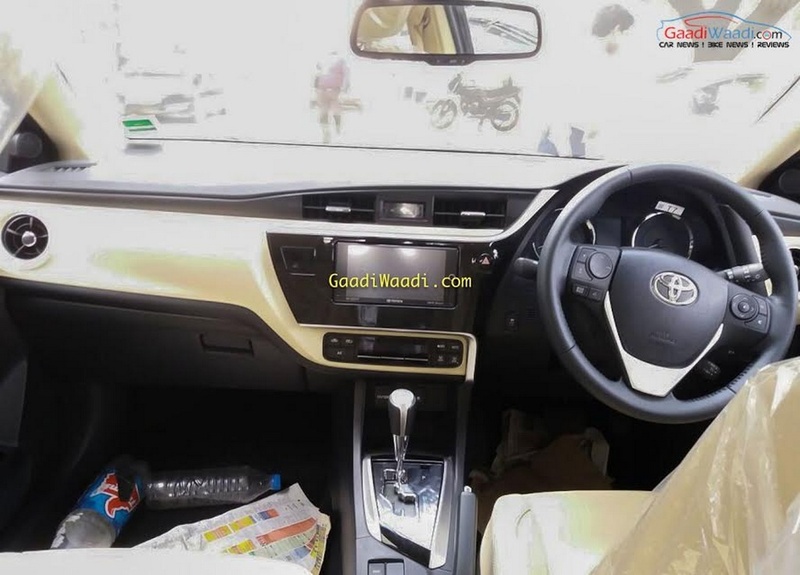 The HVAC vents have been changed as well, while the company claims, new Corolla Altis gets improved comfort level with soft-touch materials and contrast stitching. The ride quality has improved and cabin noise has been also reduced, thanks to a better insulation. Other features are minus ion generator (nanoe), autofold and reverse linked ORVM. The all-new 2017 Toyota Corolla Altis comes with a range of safety features, which include ABS with EBD, Hill start Assist control, Brake Assist, high strength and an impact absorbing body structure, rear parking camera, Vehicle Stability Control etc. Available in a new ‘Phantom Brown’ colour, the 2017 Corolla Altis gets existing colours such as White Pearl Crystal Shine, Silver Mica Metallic, Champagne Mica Metallic, Grey Metallic, Super White & Celestial Black. 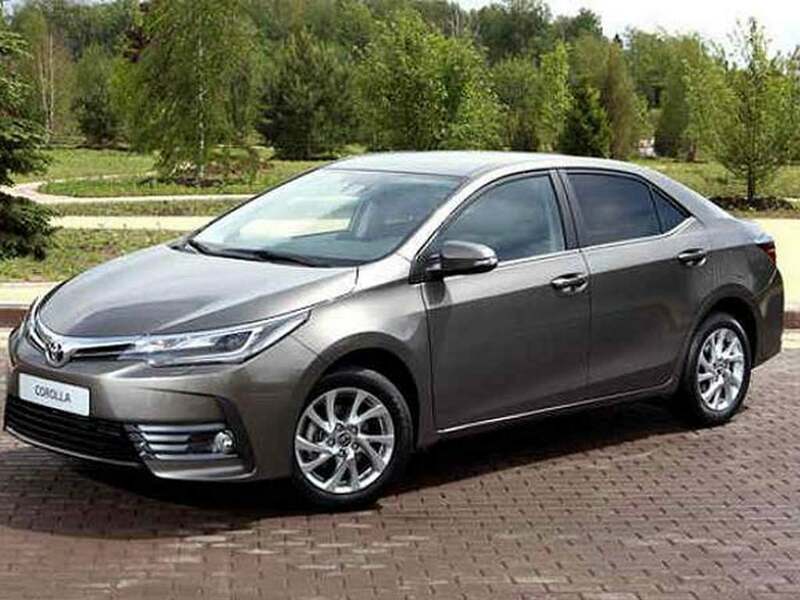 The new Toyota Corolla Altis facelift will face tough challenge from the new-gen Hyundai Elantra alongside Skoda Octavia, Volkswagen Jetta and Chevrolet Cruze – who are getting new versions very soon.